One of Chris's favorite meals is chicken pot pie. 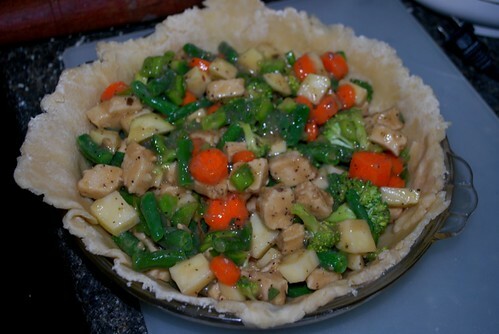 We used to make it with canned chicken, a can of veg-all, a can of cream of something soup and store bought pie crust. Well, we don't eat that way any more so the recipe had to be revised. 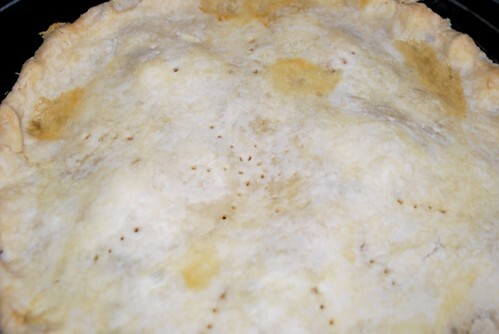 Even after a bit of revision, I was still using bought pie crust and cream of mushroom soup. 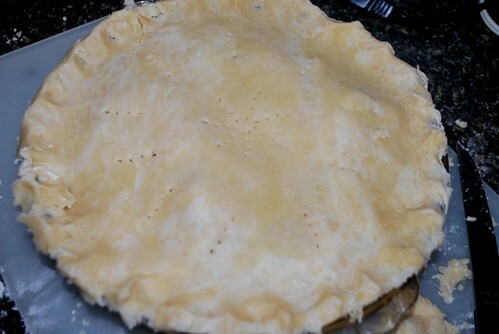 The bought pie crust is just silly. 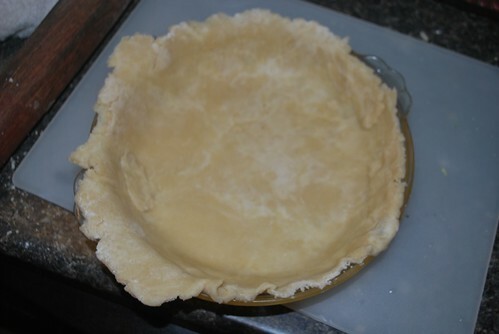 If there's one thing I know how to make, it's pie crust. Crust is my super power. Since moving in with Chris's mom, I haven't been all to keen on the idea of baking. I don't have enough counter space (even in the "new" kitchen, I say "new" because it's the exact same, just with new cabinets). My rolling pin is in storage so I have to end up using the giant pestle that goes to his mom's mortar set. These are lame excuses to say that I'm lazy. So on Sunday, I decided to make us a proper pot pie. 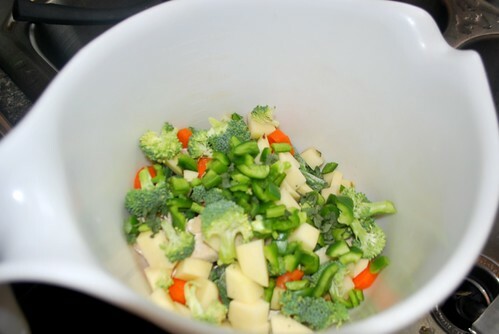 I chopped up some veggies. I mixed up an organic packet of mushroom sauce to coat all the veggies. Put the top crust on and baked for about 45 min.